VMware Recovery tool providing multiple options of recovery with advanced features results in efficient recovery of VMDK files in no time. Repair vmdk(Virtual Machine Files Data) formed by Vmware Application. Preview and scan data from various VMDK virtual machines files. Supports recovery of formatted, deleted and corrupted VMDK files. Supports both NTFS and FAT file systems for recovery. There is no file size limitation on VMDK file. Option to search particular data within VMDK files. VMDK file recovery tool provides an advantage of recovery of multiple VMDK files at the same time. By directly browsing the path of Virtual Machine folder, You can scan VMDK files in group. After the completion of scanning process, Preview of every file is possible with attributes like: modified date, creation date etc. Preview of following file extensions is supported : .log, .xml, .dir, .png, .jpg, .gif etc. This software allows you to search selective data with multiple options like: modification date, creation date etc. You can also apply date range to search the desired data. --Extract data: Provides you the feasibility to save the data at desired location on the machine. --Extract as Original: This option is provided to restore the recovered data on the same location as it was before. If you want to save the particular folders and data from the repaired VMDK files. You can enable the desired check box to export selective items accordingly. VMDK file is comprised of data arranged in proper manner. VMware Recovery Software ensures you to maintain the folder hierarchy along with data property. A report in .CSV format is automatically generated after completion of extraction and recovery of VMDK data. This report can be saved for future reference. VMDK is the file format of containing all the records of virtual hard disk drives used in VMware Virtual Machine. Since, with access use of virtualization, data corruption or loss has become a common issue. VMware Recovery tool is a unique utility providing better solution in recovering the corrupted, deleted and formatted VMDK file data. VMware Recovery software also provides an option to recover multiple VMDK files&apos; data at a time. 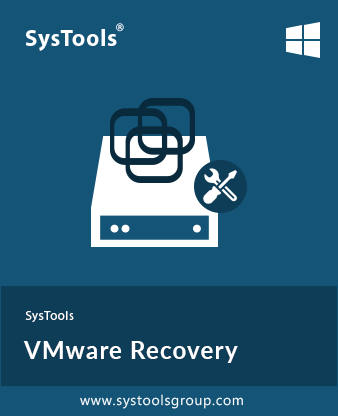 Free VMware Recovery Software recover and preview data. Step 1: Go to Start » All Programs » SysTools VMware Recovery » SysTools VMware Recovery. Initially, window of the tool looks like as shown. Step 2: To start loading of file in the tool, Click on Scan. Step 3: For direct scanning of virtual machine, browse the location. Step 4: After selecting VM folder, Click OK. Step 5: Hit the Scan button. Step 6: You can save the generated report. Click on Save. Step 7: Save the file with reasonable name. Step 8: A confirmation window will pop up. Click OK. Step 9: Option to search the virtual machine either in All Drives or Specific Drive. Step 10: List of all Virtual Machines in all drives will pop up. Step 11: In case of scanning specific drive enable the option of Specific Drive. Step 12: Then, Click on Scan button. Step 13: A notification will pop up confirming the completion of scanning of file. Step 14: After scanning, You can preview the data. Step 15: File can be searched by its modification date, extension, creation date as well as by applying date ranges. Step 16: After that search result will appear. Step 17: Now, Hit the Extract or Export As Original to save the particular folder at desired location or previous location respectively. Step 18: After that the export report generated. Details can be viewed by clicking the link. Step 19: After viewing the report, You can save it in CSV format. Step 20: Provide desired name to the report. Step 21: Confirmation window will appear after saving the Export Report. Click OK .
How many VMDK files can be recovered at a time? VMware Recovery tool recovers the VMDK files in bulk. You just need to browse the folder containing VMDK files. Is there any file limitation for VMDK file? No, There is not any file size limitation for recovery of data. Does the software repair corrupt VMDK file? No,only corrupted data can be recovered from VMDK files. However, You can save that data in original format at desired location. To avoid the data loss, I usually prefer virtual environment for data storage. In spite of that, Due to some reason my VMDK file data got corrupted. So, I need a utility to solve my problem. VMware Recovery tool did a great job for me. Thanks a lot. I used VMware Recovery tool to recover data of my VMDK file. With the effective utility, the support team is also very helpful. They helped me out during whole process. Such a great co-opertation.